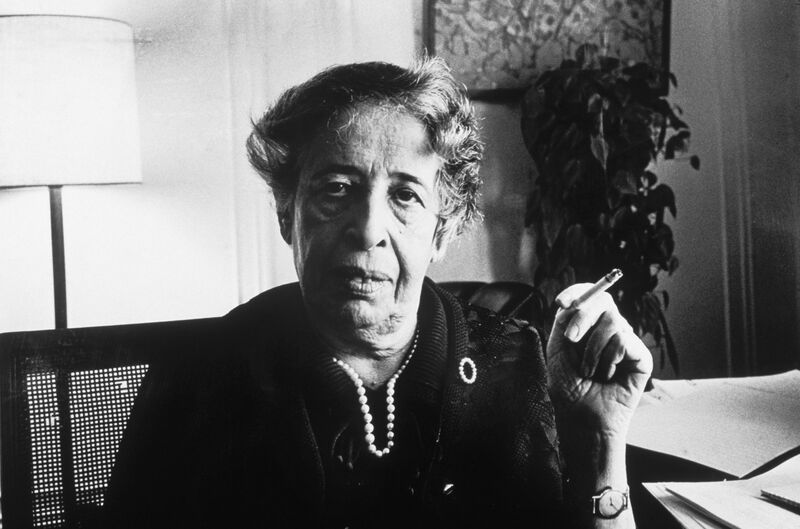 Jewish American political thinker Hannah Arendt, who escaped Germany in 1933, saw the problem as "not what our enemies did, but what our friends did." Her presidential rival, Donald Trump, on the other hand, had waged what Matthews called a “legitimate” campaign on these issues, a claim that seemed to stretch the bounds of legitimacy, but Matthews was not alone. In the following days and weeks, others would make similar claims implying a victory that, weeks before, had been impossible was actually inevitable and liberalism was largely to blame. People magazine put Trump on its cover in November, a month after one of its journalists, Natasha Stoynoff, accused him of sexually assaulting her in 2005. The magazine’s editor-in-chief reassured readers that they stood by their journalist and her allegations, but Trump had “made history” and thus earned the cover. The word Gleichschaltungis often translated from the German as “coordination” and refers to the process of politically speaking getting in line. It often appears in books about the Nazi era. German Jewish philologist Victor Klemperer and German journalist Joachim Fest wrote about the personal cost of coordinating in their respective memoirs. German author Sebastian Haffner and Americans including journalist William Shirer wrote about the propaganda and politics of coordination. People rejected the uglier aspects of Nazism but gave ground in ways that ultimately made it successful. They conceded premises to faulty arguments. They rejected the “facts” of propaganda, but not the impressions of it. The new paradigm of authoritarianism was so disorienting that they simply could not see it for what it was, let alone confront it. Outside of Germany people often wonder at the palpable fraudulence of Nazi propaganda, the stupid incredible exaggerations, the ludicrous reticences concerning what is generally known. Who can be convinced by it? They ask. The answer is that it is not meant to convince but to impress. Sebastian Haffner, in 1940's "Germany: Jekyll and Hyde"
The faulty premise that empowered Hitler and helped place him in the German mainstream was called the Dolchstoss or the legend of the “stab in the back.” It argued that, despite all of the evidence to the contrary, Germany was winning World War I only to have politicians surrender prematurely. Hitler, as a political figure, was the embodiment of this hack theory. While many rejected Hitler’s anti-Semitism and bellicosity, his deep sense of having been wronged by Germany’s surrender in World War I a war in which he fought gave him authenticity. It also created a hole in the German Republic’s legitimacy that he and his followers barreled through. Before there were the camps and murders and the euphemisms to hide all of the camps and all of the murders there was this feel-good lie that should have been dismissed along with the people telling it, from the beginning. In today’s United States, the suggestion that illegal immigration is the cause of the economic struggles of working-class whites is an American Dolchstoss. Mechanization, globalization and the decline of unions have affected working-class whites to a far greater extent than illegal immigration or immigration of any kind. And this is not an obscure fact or liberal talking point. Yet many who supposedly reject Trump’s scapegoating of illegal immigrants seem willing to concede it. The debates about how or what, if anything, workers can do to combat this reality are endless, but the claim that immigrants are to blame is the talking point of the demagogue, not a reflection of economic reality. When the decline of working-class jobs was perceived as a problem for African-Americans primarily, the neoliberal and conservative positions were much less sympathetic. According to William Julius Wilson’s 1996 book, When Work Disappears: The World of the New Urban Poor, “Between 1967 and 1987 Philadelphia lost 64% of its manufacturing jobs; Chicago lost 60%; Detroit 51%.” This meant hundreds of thousands of jobs lost, disproportionately affecting African-Americans. The solution from conservatives? “Migrate” was black conservative Shelby Steele’s prescription. “Get new skills,” said others. And even more popular was “behave more like Asians.” Yet whites need an entirely new mythology, even if that mythology hurts prospects. According to a recent Politico article by Dana Goldstein, “America: This Is Your Future,” “Rust Belt cities that are attracting immigrants are in better shape than those, like Dayton, Ohio, with fewer foreign-born residents.” Yet, “the people who are upset about immigration live in areas where immigration has had very little impact. A lot of the upset is symbolic.” The symbolism and the propaganda form a kind of feedback loop, each reinforcing the other, regardless of the underlying truths or lack thereof. In Haffner’s time, the tenacious ideas and fantasies were the subhuman images of the Reich’s enemies. Many Germans rejected the “facts” of this propaganda: that Czechoslovakia or Poland posed existential threats to Germany and the German people, but the impression of the propaganda remained. “The image,” Haffner wrote, “of the Czechs and Poles as a snub-nosed, unpleasant, dwarfish half-ape brandishing a revolver, whip or rubber truncheon at a number of barely clad women, children, and blond men bound to posts.” Who could trust such a person? Why risk it? Trump’s propaganda about Mexican rapists and Muslim terrorists operates in a similar way. The informed listener knows that most rapes are committed by perpetrators that are known to the victim. They know that most terrorist attacks in the United States are committed by non-Muslims, but the impression that those groups are not to be trusted that to trust them is taking an unnecessary risk remains. The impressions born of the propaganda give birth to discussions that worsen the problem. Commentator Van Jones, for example, debated CNN panelists recently about discrimination against Muslims. To support his argument that Muslims are not the enemy, he cataloged many of the positive attributes of the Muslim community as if Americans that are hostile to Muslims are acting in good faith based on bad information rather than cherry-picking incidents to support their underlying prejudices. Jones reminded viewers and other panelists that Muslims have low crime rates, high educational achievement and high rates of entrepreneurship. The fact that it needs to be said demonstrates the relative power of the people asking the questions to those who must answer. It morphs questions about Muslims into a kind of Muslim Question that exists not to seek answers but to emphasize the otherness of the Muslim community and to limit its rights. While on the campaign trail in February, Trump urged followers to “knock the hell” out of protesters, promising to pay their legal bills if they were arrested and charged. That same February in Fort Worth, he promised a crowd that he would “open up our libel laws” so that news outlets can be sued for writing “false” or “purposely negative” articles. In July, he urged Russia to interfere in the election on his behalf, later saying he was joking. In September, he urged still other supporters to “monitor” polling stations. In October, he promised when victorious to throw his rival, Hillary Clinton, in jail. And just recently he advocated revoking the citizenship of Americans who burn flags. So, in the last year, Trump has flirted with or, maybe more his style, groped and pawed at totalitarianism, yet the advice from many is to “give him a chance” or to coordinate. In 1949, Harvard psychologists Jerome Bruner and Leo Postman performed a study that helps explain the contradiction. Bruner and Postman recruited two dozen college students to participate in a study of perception and expectations. The experiment involved playing cards. Participants were shown a series of cards. Most of them were standard playing cards, but included in the series were several trick card: a black four of hearts, a red six of spades, a red six of clubs, to name a few. Each card was presented, and the participant was instructed to identify it correctly. The fourth and most common reaction by far was “dominance.” The participants expected to view a normal series of cards, so when faced with a trick card their minds approximated, and the trick card became the most similar normal card: a red spade was identified as a red heart or diamond; a black heart was identified as a spade. The participants could only see what they expected to see. Their minds coordinated. For many Americans, the expectations of the game are divided government, stability and continuity regardless of what the candidate promises. However, if the new regime has embraced authoritarianism, then there will be trick cards in the deck that have to be identified correctly and challenged. “Patriotism” became a trick card in Klemperer’s memoir and study of Nazi language, The Language of the Third Reich. Klemperer wrote of a Jewish neighbor, Frau K, who continued to speak with pride about Germany and the “Fuhrer,” despite having been deemed subhuman by the regime. Patriotism and deference to leadership respect for the office of the president, as we call it might have elevated Frau K in the old paradigm, but in the new one it worsened her condition. “Divided government” became a trick card in Shirer’s 1960 history, The Rise and Fall of the Third Reich, when Hitler pushed through the Enabling Act and, “In five brief paragraphs,” took the power to legislate, approve treaties, and initiate constitutional amendments away from Parliament. A divided government essentially “committed suicide,” according to Shirer, and bequeathed its power to a dictator. There were many others, but “dominance” made them difficult to recognize. Joachim Fest writes in his memoir Not I, “At first, the countless violations of the law by our new rulers still caused a degree of disquiet. But among the incomprehensible features of those months, my father later recalled, was the fact that soon life went on as if such state crimes were the most natural thing in the world.” Those months would turn to years. Not the thousand years that Hitler had predicted, but enough to cause millions of deaths. We should not waste our time or imaginations trying to reconfigure Trumpism to explain why all of the “good people” supported him. It is more important to see it for what it is and resist. Hopefully, they will join us. If not, it will not be necessary to call them names, they will have named themselves.